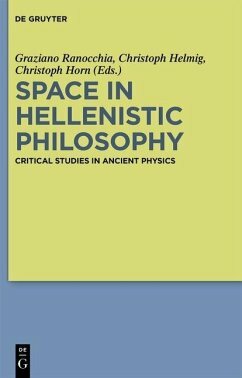 The volume discusses the notion of space by focusing on the most representative exponents of the Hellenistic schools and explores the role played by spatial concepts in both coeval and later authors who, without specifically thematising these concepts, made use of them in a theoretically original way. 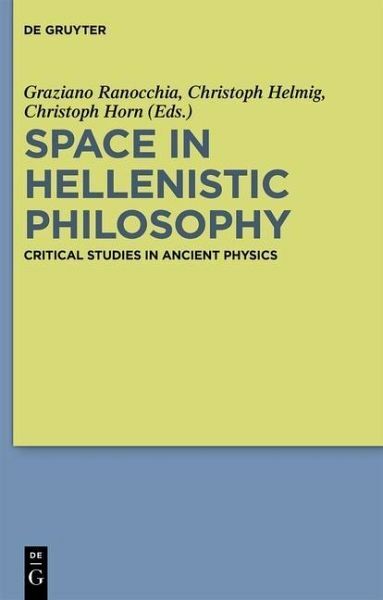 Renowned scholars investigate the philosophical significance and bring to light the problematical character of the ancient conceptions of space. Graziano Ranocchia , Rome, Italy; Christoph Helmig , Cologne, Germany; Christoph Horn , Bonn, Germany. Graziano Ranocchia, Rome, Italy; Christoph Helmig, Cologne, Germany; Christoph Horn, Bonn, Germany.